No artist credits on 12". Both are re-edits of disco tracks from 1979. 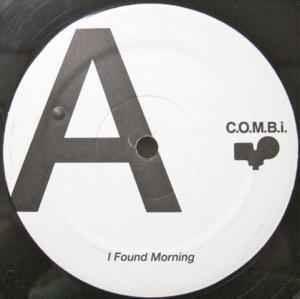 "I Found Morning" is a re-edit of "High On Your Love" by Debbie Jacobs (MCA Records). "It Come Fast" is a re-edit of "Livin' In The Jungle" by City Streets (RCA). This is where the c.o.m.b.i. series started (unsuprisingly). Awesome label, but why is this one so expensive? the Debbie Jacobs record is prolly better, and loads cheaper. weird.